which can be activated by tractors, diesel or electric motors. 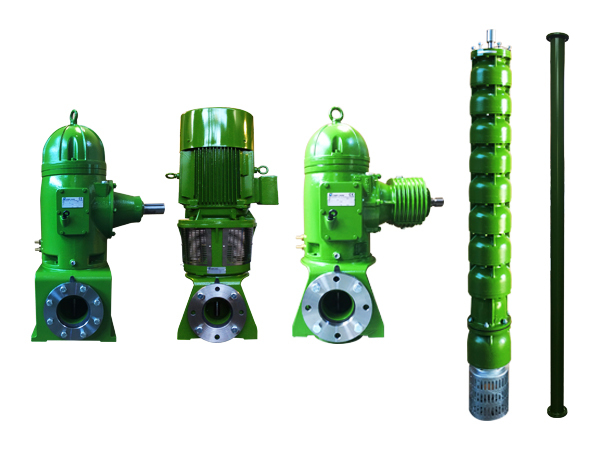 The Pompe Zanni vertical axis centrifugal pumps for wells which can be activated by tractors, diesel or electric motors allow you to extract water from a depth of up to 300 meters. The control unit transits the rotation to the vertical axis and the axis line, which connects the pump case to the control unit, is made up of flanged pipes, a cast-iron support with incorporated rubber bearing, steel transmission shaft and adapter connecting pipe. The pump case, instead, is made up of a number of phases that varies according to the needs and is usually in cast-iron, like the bottom valve. Le pompe centrifughe ad asse verticale vengono impiegate per acquedotti, impianti di irrigazione, impianti industriali, stazioni di pompaggio, impianti antincendio.